After a fun-filled day of touring the Pocono Mountains, your group will need a place to rest and revitalize. The vast Pocono Mountains region is rich with accommodation options to suit every taste and budget. From luxury hotels and resorts to boutique properties and vacation home rentals, the region’s group lodging destinations offer beautiful views, fine amenities and easy access to area attractions. 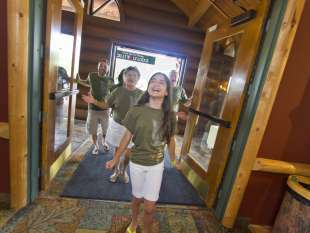 Whether you select a nationally recognized branded hotel or an independently owned property, your group will be welcomed with the Pocono Mountains’ genuine hospitality. Stay a while and experience all that the region has to offer. The Pocono Mountains Convention and Visitors Bureau is pleased to assist you with all of your event planning needs.